RIYADH, Saudi Arabia (AP) — Billionaire Saudi Prince Alwaleed bin Talal, who had been held in a luxury hotel since November in a wide-reaching anti-corruption probe that has been shrouded in secrecy and intrigue, was released on Saturday, according to three of his associates. The anti-corruption campaign, however, could still be far from over, with more arrests possible and aftershocks yet to materialize. The 62-year-old prince had been the most well-known and prominent detainee at the Ritz-Carlton hotel in the Saudi capital, Riyadh, since Nov. 4, when his much younger cousin Crown Prince Mohammed bin Salman ordered the surprise raids against prominent princes, businessmen, ministers and military officers. Elite forces were sent to arrest them in their homes, and they were subjected to weeks of questioning that would result in many turning over significant financial assets. Prince Alwaleed’s associates, who include a relative, told The Associated Press his terms of release were not immediately known. They said he had returned to his palatial home in Riyadh’s al-Fakhariya neighborhood. The associates spoke on the condition of anonymity because of the sensitivity of the matter, and there was no official comment on his release. 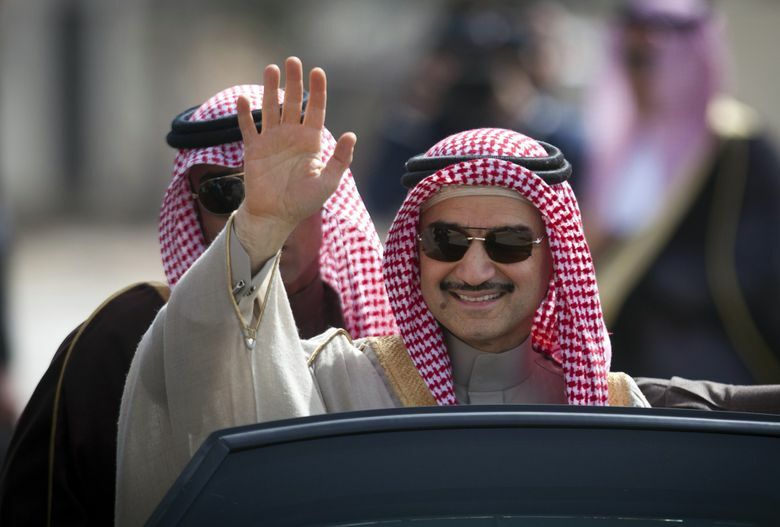 Prince Alwaleed was among at least 11 princes detained in the probe, including two sons of the late King Abdullah. The government, however, has not named those detained nor discussed the allegations against them. Hours before the arrests were made, the late King Abdullah’s son Prince Miteb was ousted from his post overseeing the National Guard, a powerful force that oversees key aspects of internal security and the security of the royal family. He was seen as a potential contender for the throne until his arrest. Critics say the crown prince, who is King Salman’s son and heir, has used the purported anti-corruption campaign to sideline potential rivals and seize control of influential businesses run by many of the scions detained in the probe. The arrests also raised concerns over increasing totalitarianism, along with disarray and resentment from within a royal family whose unity has been the bedrock of the kingdom. The government says the arrests are part of a wider effort to increase transparency, accountability and good governance. Still, the arrests were unprecedented in a country where royals and their associates have long been seen as operating above the law. The surprise arrests also worried international investors, particularly as the Saudi government prepares to list oil giant Saudi Aramco on the stock market sometime this year or next. Many investors see Prince Alwaleed’s arrest as a bellwether for doing business in a country where the potential for future arrests remains. His release comes as world leaders and major investors convene at the World Economic Forum in Davos, Switzerland. Prince Alwaleed is chairman of Kingdom Holding Co., which has investments in several Western companies such as Twitter, Lyft, Citibank and marquee hotels like New York’s The Plaza hotel, London’s Savoy Hotel and Paris’ the Four Seasons George V Hotel. The prince also has significant holdings in Apple and is majority owner of the popular Rotana Group of Arabic channels. The crown prince, who has consolidated power rapidly since his father’s ascension to the throne three years ago, has demonstrated “he’s not afraid to step on some toes,” Cafiero said. “It’s not very clear how members of the royal family can counter him at this point,” he added. Private U.S. intelligence firm Stratfor said the arrests went beyond targeting corruption and were used as a means of reworking patronage networks in favor of Prince Mohammed as he seeks an even greater centralization of his power. 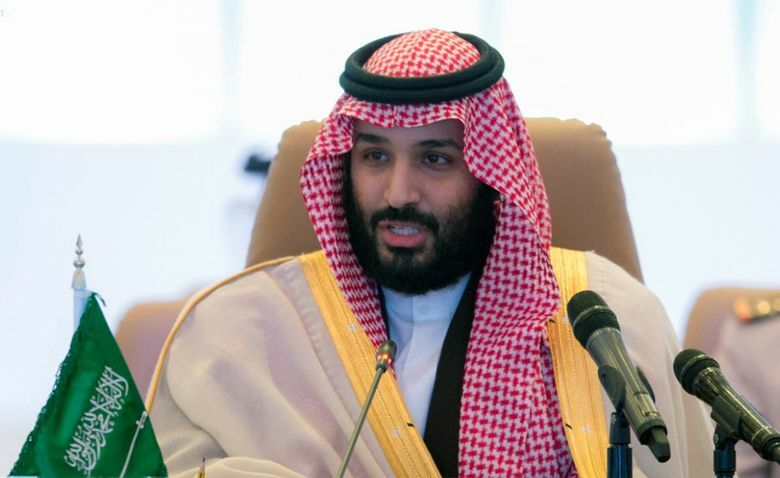 “Should the released detainees cross the crown prince again — perhaps by showing disloyalty to his vision through their business decisions — they could well find themselves back in fetters,” a Stratfor brief said. Earlier this week, Saudi Attorney General Saud al-Mojeb was quoted in local media as saying some 90 detainees had been released after agreeing to settlements involving cash, real estate and other assets. If a financial agreement can’t be reached, remaining detainees will be moved to prison, prosecuted and could face six months or more in jail. Around 350 people in total have been questioned. By midweek, 95 people were still being held, though several more were released over the weekend. The government has said that it uncovered at least $100 billion in corruption and that any sums recovered so far would be used to fund a cash assistance program for middle- and lower-income citizens estimated to cost $8.5 billion this year. The king this month also ordered more than $11 billion in bonuses for government employees, soldiers and students as the government hikes prices and introduces taxes to raise revenues amid lower oil prices. Prince Alwaleed’s release came just hours after he gave the only interview since his detention, telling Reuters he expected to keep full control of his investment firm without giving up assets to the government. His suite at the Ritz-Carlton included a private office, dining room and kitchen. His refrigerator was stocked with vegetarian meals as requested, and he had tennis shoes for exercise, Reuters reported. The prince, sometimes pictured vacationing on his 85-meter (278-foot) super-yacht in the Mediterranean, is among the most outspoken Saudi royals and a longtime advocate of women’s rights. While he was never seen as politically influential, his penchant for fame and his holdings in Western firms made him one of the most talked about Saudi royals abroad. The hotel where he and other prominent figures were held has been closed to the public since early November but is taking reservations again starting Feb. 14.